Johnny, supported by Tree of Hope, has returned from the world’s first Cybathlon with a Silver medal for Great Britain. 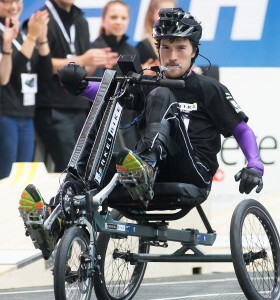 Using bionic assistive technology that enables him to pedal despite being paralysed, Johnny Beer, from Aylesbury, saw off competition from nine different countries in the qualifying rounds of the FES bike race. In a head to head final against Mark Muhn, for America’s Team Cleveland, Johnny smashed his personal best to complete 10 laps in 4.08 minutes for Great Britain on a BerkelBike. The event in Zurich, Switzerland, showcased technology that helps people living with disabilities cope more effectively with daily life. Despite his eventual success, Johnny says the first few hours in Zurich were a nightmare.“There were so many problems after arriving, it looked like it was going to be a complete disaster. Luckily, the BerkelBike team persevered, resulting in me smashing my personal best and winning a Silver medal. Johnny, 21, was paralysed in a trampolining accident five years ago. His extraordinary commitment to staying fit and active is supported by fundraising through Tree of Hope that helps him pay for pioneering training sessions at Neurokinex, based in Watford.“Neurokinex specialises in spinal cord rehabilitation and the training has helped me become more independent,” explains Johnny.“I’m now able to do things, such as get into a chair with minimal assistance, that are normally impossible for people with my level of injury (C5). The BerkelBike that Johnny rides uses Functional Electrical Stimulation (FES) to stimulate the rider’s muscles. In Johnny’s case, this means he can use his legs to pedal, despite his paralysis. The opportunity of a place in the Cybathlon came up last year. Emma Bourne, Tree of Hope’s Fundraising Manager, says pioneering therapies such as those Johnny uses can be life-changing. 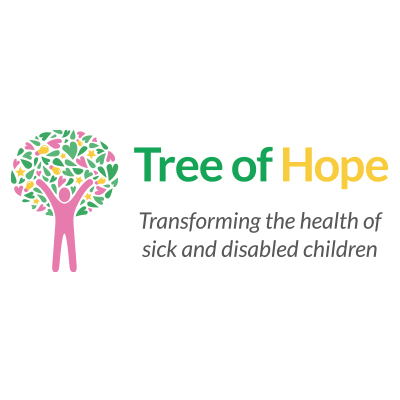 “People with complex needs can’t always get the level of support they need through the UK public health system, and Tree of Hope makes it possible for them to fundraise to get therapies and treatments they wouldn’t otherwise be able to access,” she says. Photos by Nicola Pitaro from Cybathlon Organisers.